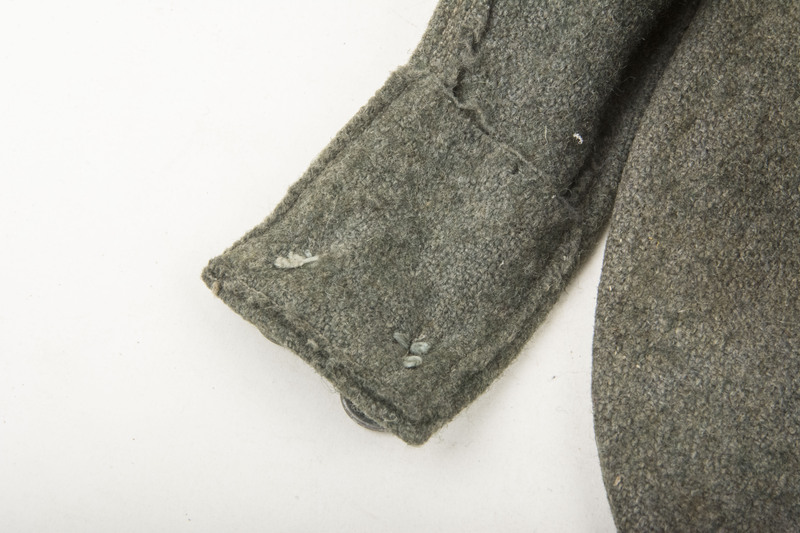 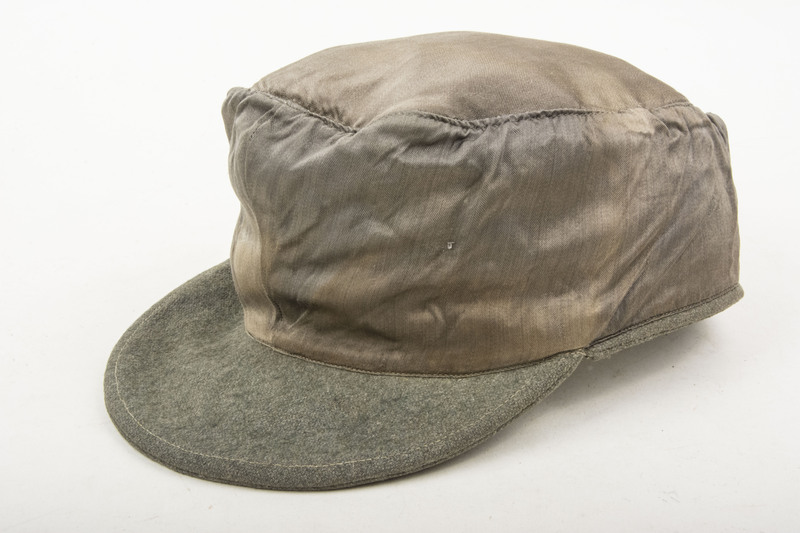 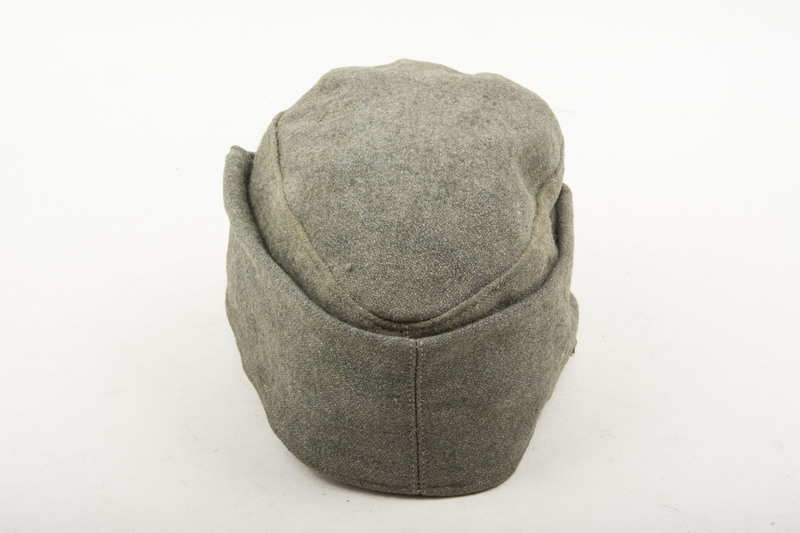 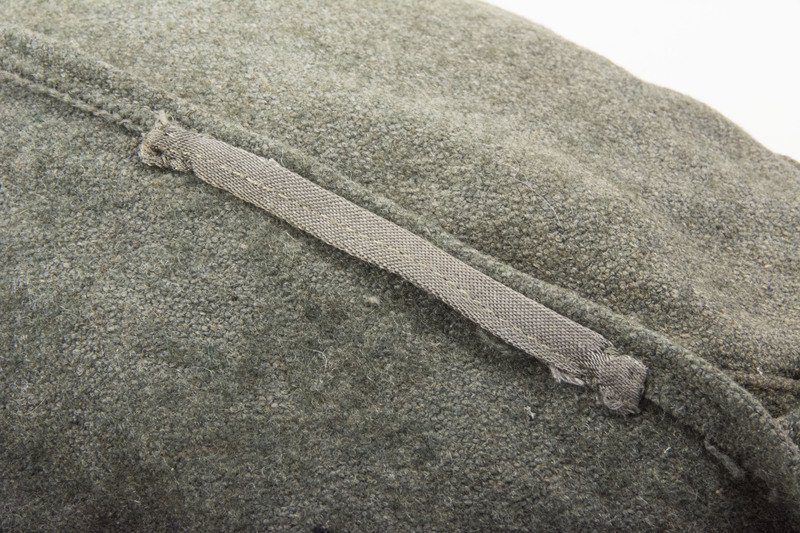 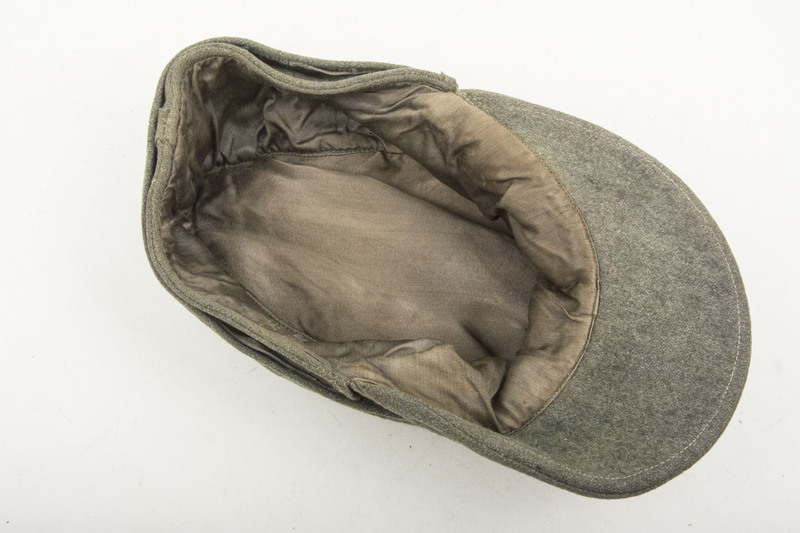 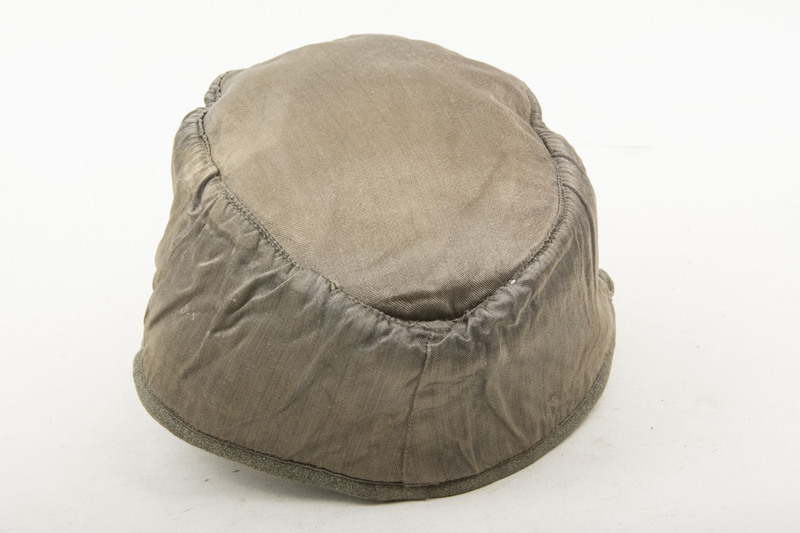 A textbook M43 field cap that has been stripped of its insignia. 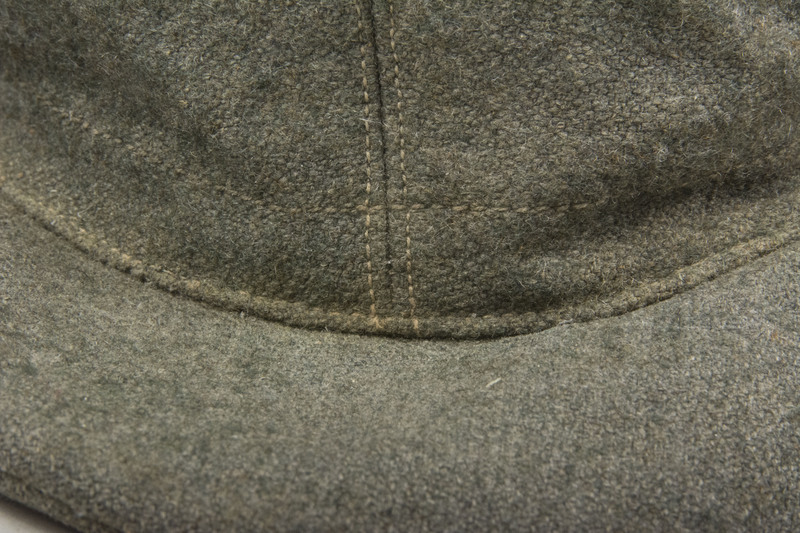 Finished in mid war German made wool with a full rayon lining. 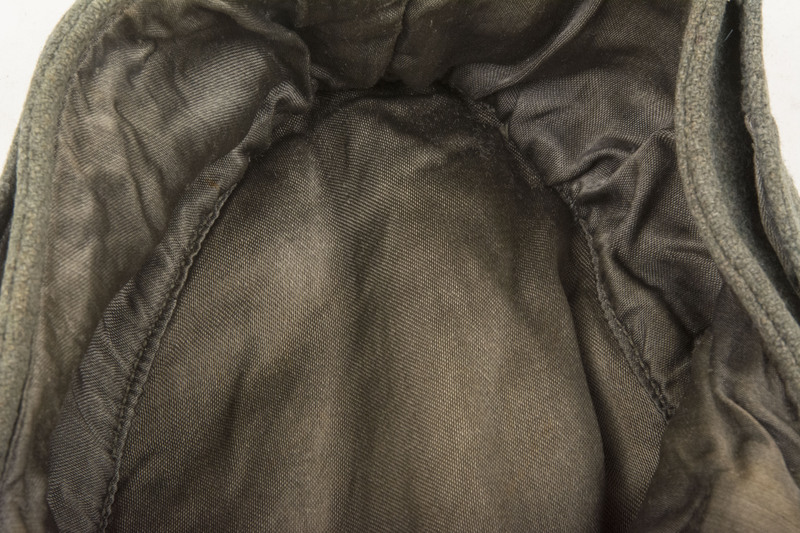 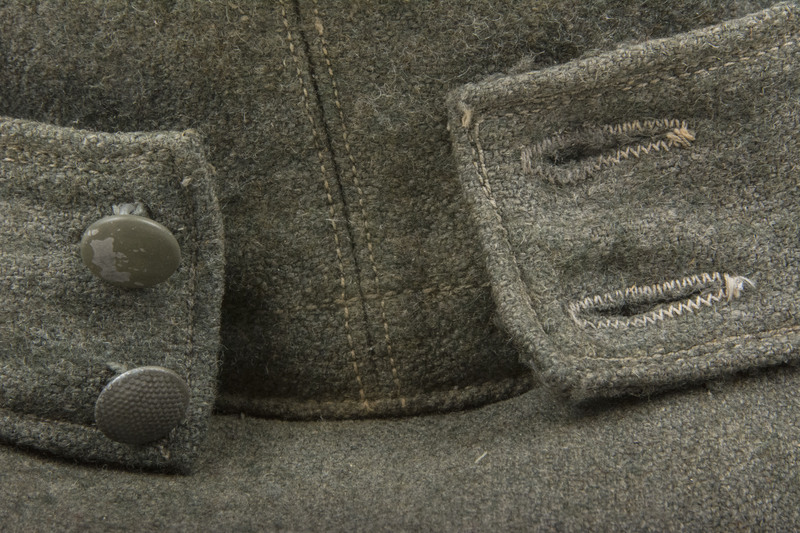 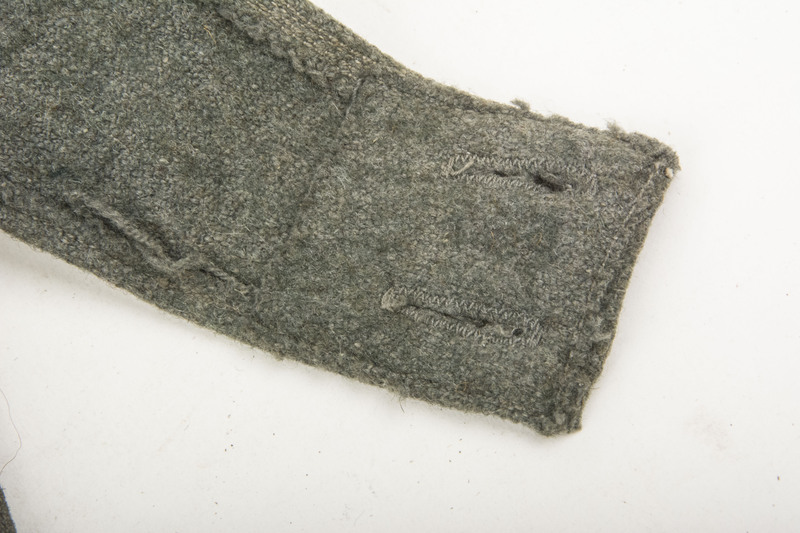 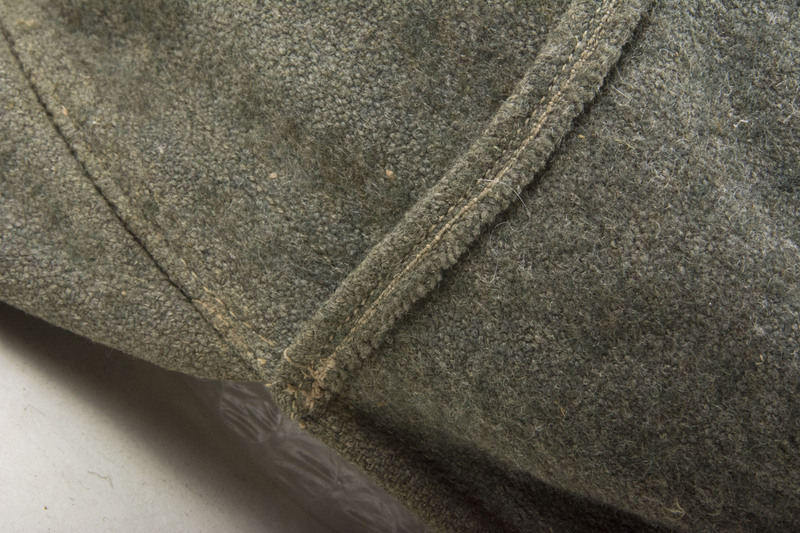 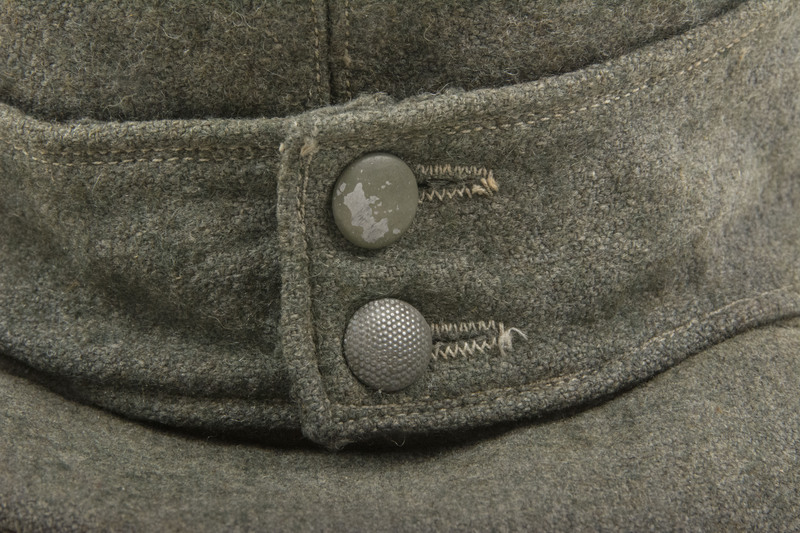 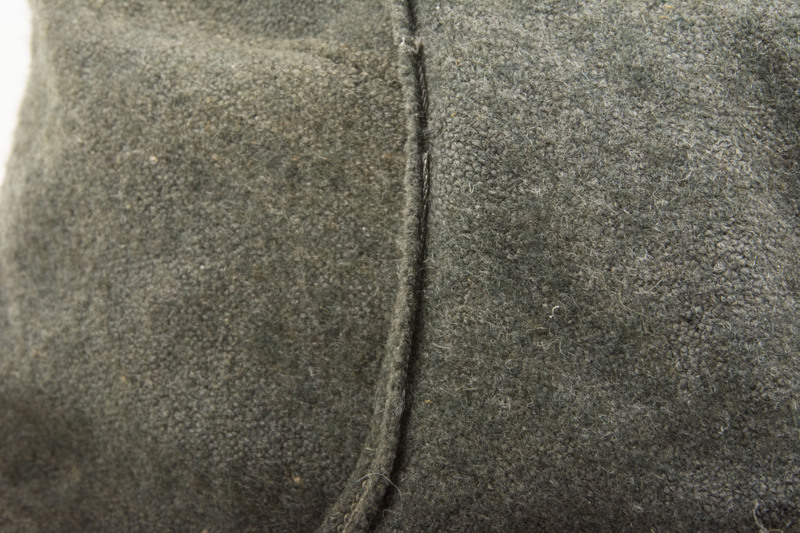 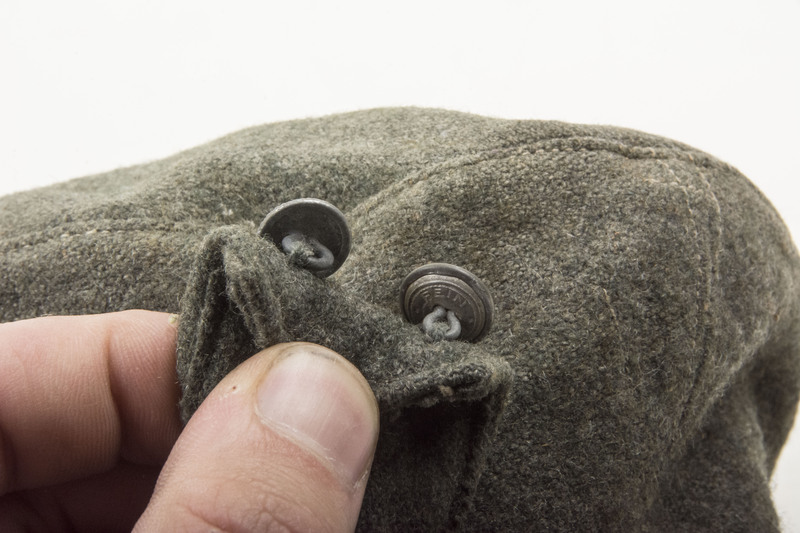 The caps retains two of its period sewn buttons of which one seems a period replacement. 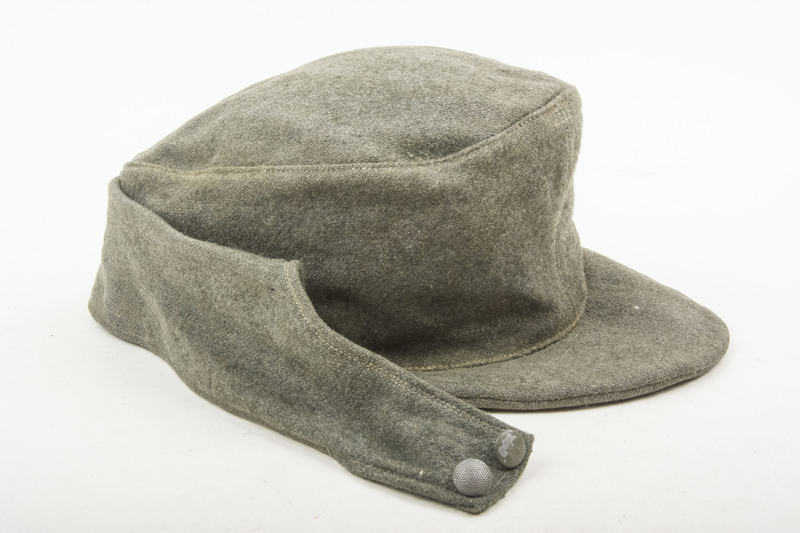 The cap bears a ghost of a trapezoid type insignia used by both the Heer and Waffen-SS. 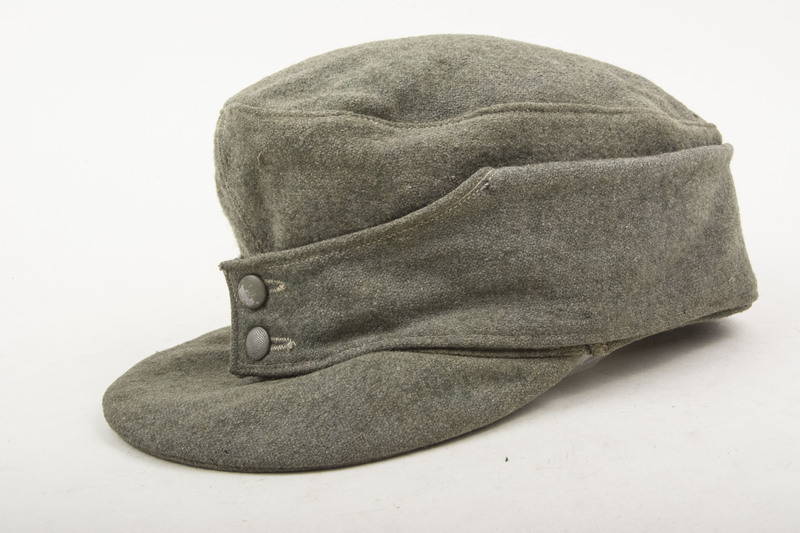 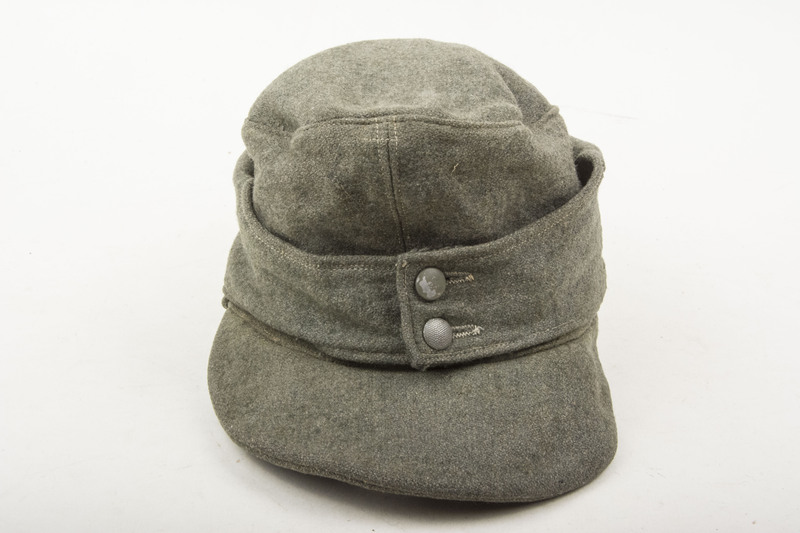 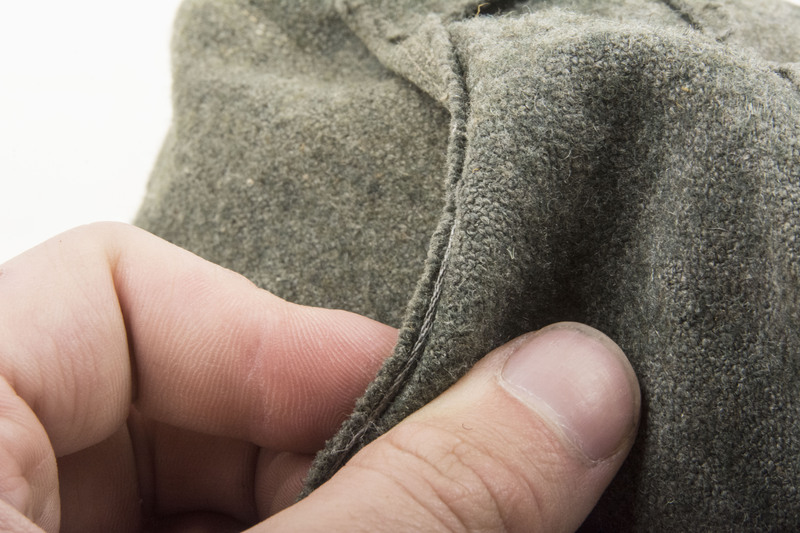 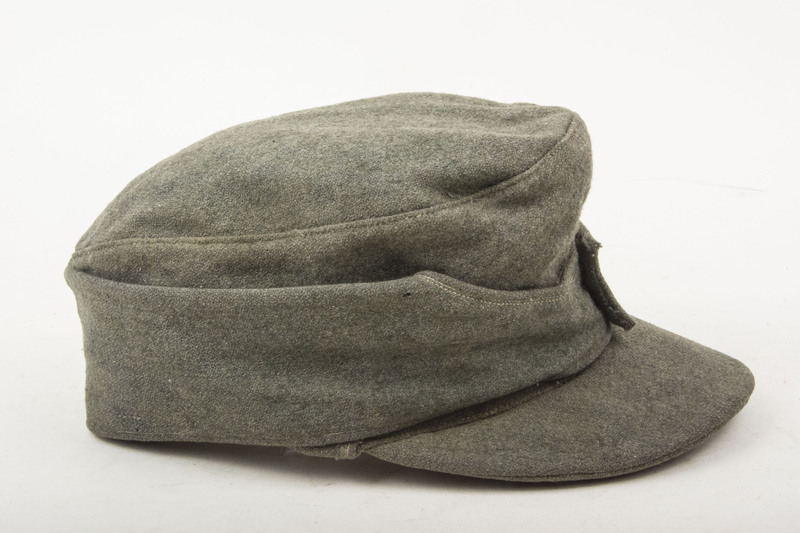 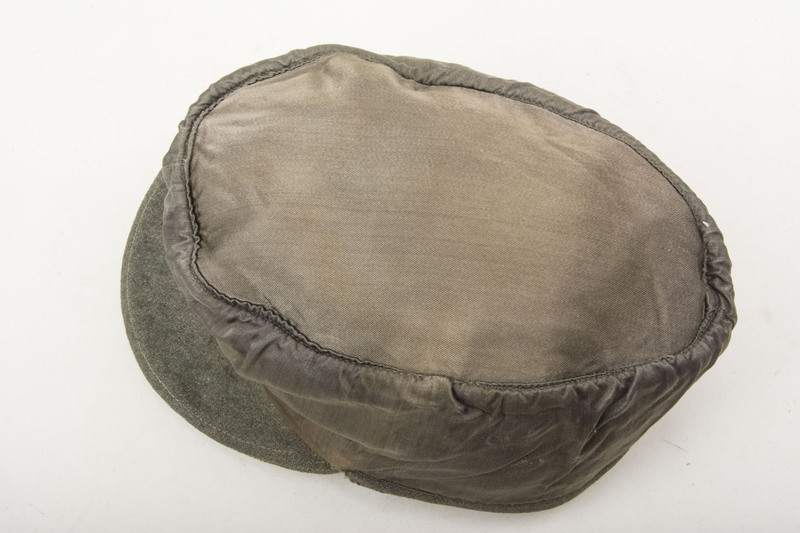 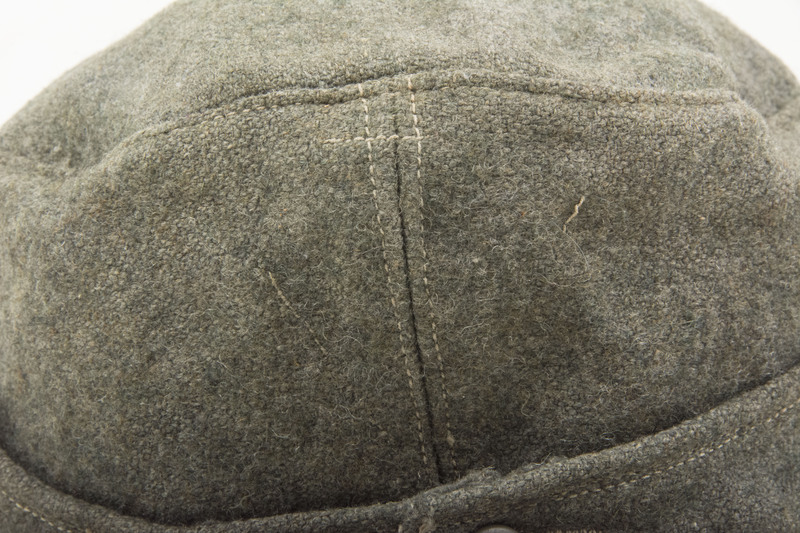 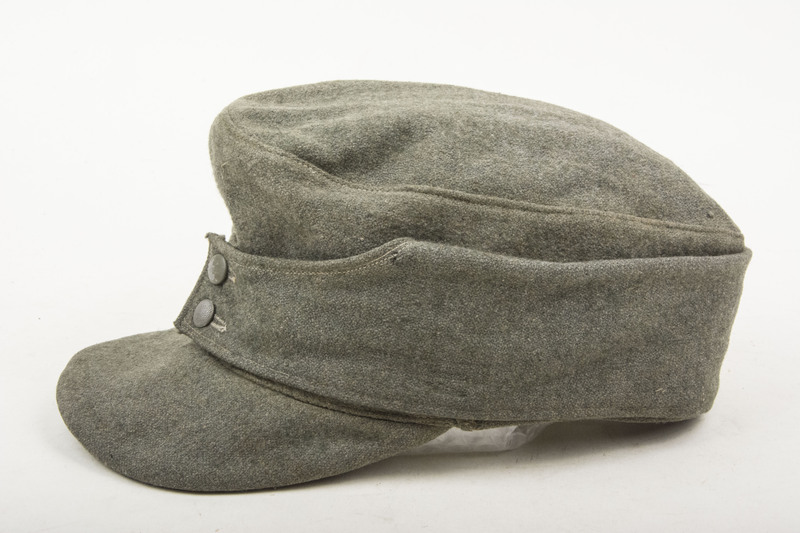 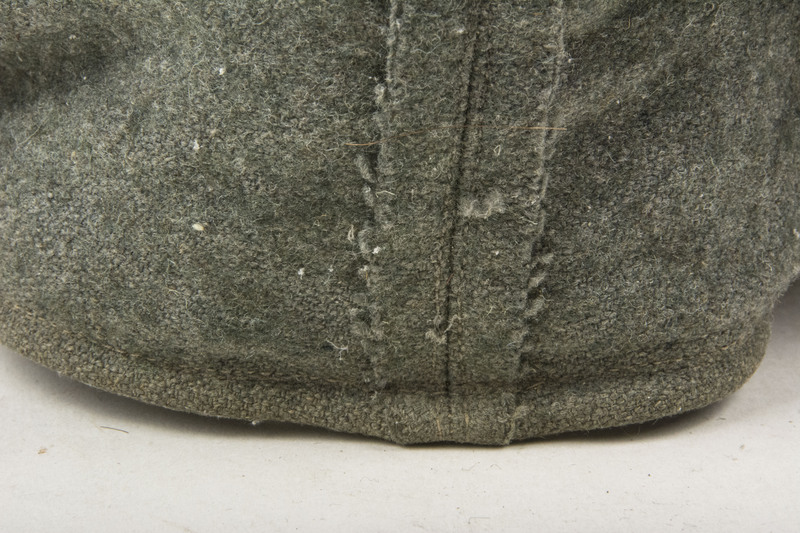 The cap is in nice lightly worn condition and would easily be restored with worn insignia. 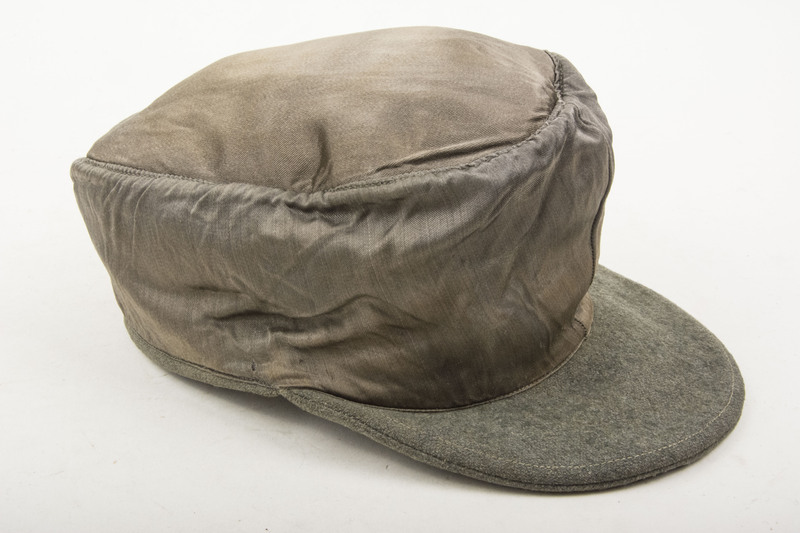 The cap is roughly a size 57 which is a great mannequin size!